Designed to provide hassle free and smooth operation, the Panasonic MX-AC300S-H mixer grinder is a must have for your kitchen. Equipped with a powerful 550W motor and high quality Samurai edge blades, the Panasonic super mixer grinder offers utmost grinding efficiency at all times. This mixer grinder comes with three stainless steel jars that can be used for various purposes. The stainless steel and polycarbonate construction of the jars ensures durability and ease of cleaning. Whether it is blending, mixing or grinding, the Panasonic MX-AC300S-H lets you complete all your tasks with maximum ease. 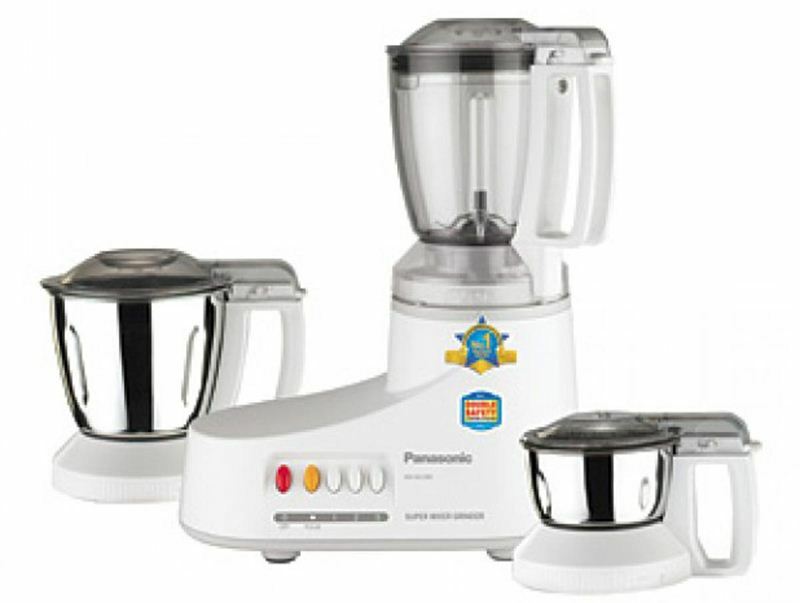 This Panasonic mixer grinder features piano type button switches that are easy to operate. The transparent lids of the jars let you view their contents with ease, while the sturdy handles provide a firm grip. For added protection and safe operation, the Panasonic MX-AC300S-H mixer grinder grey features a double locking system, a circuit breaker protection system and an auto shut-off function. Efficient and powerful, this mixer grinder makes a great addition to your kitchen area. Thanks to its stylish profile, this Panasonic MX-AC300S-H mixer grinder will look great on your kitchen counter.